The Paper Shredder (A15), which we offer, is deeply appreciated for its efficient performance, user-friendly features and longer working span. Available in standard and custom specifications, these Paper Shredders are duly checked by our quality auditors to ensure flawlessness in every aspect. 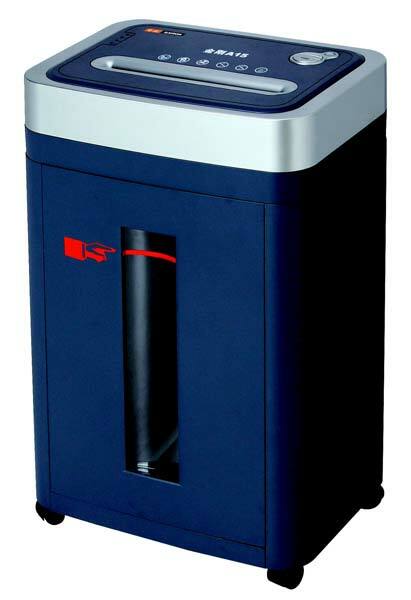 For availing retail or bulk quantity of Paper Shredders at competitive prices, contact us. We are the globally-famed Paper Shredder (A15) Manufacturer, Exporter and Supplier from China. Extremely powerful, shred up to 15 sheets.